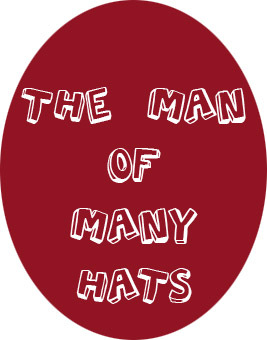 Sean Connolly wears many hats at Those Funny Little People...literally and figuratively! Sean stars as Ice, our rapper elf, who earned himself a name on America's Got Talent last summer. THE BASICS: Sean loves the stage! Seemingly "shy" upon first meeting him, Sean is actually personable, funny, creative, and the personality behind many of the Little People male voices. He majored in Film & Animation at Columbia College Chicago, including acting and puppetry in his course load. Out of college Sean was hired by Calabash Animation, where he did drawing for Trix and Lucky Charms. After working on television commercials, he went to Midway Games, where he worked on video games such as MK vs. DC. Although he enjoyed these jobs, Sean had the itch to perform, so he began looking for something that could satisfy his desire for the stage. That's when he "stumbled on" Those Funny Little People. YEP....HERE'S WHERE IT GETS GOOD! Sean found Those Funny Little People's unique style of performing to be just the cure for his performance itch. He loved the challenge and the "cool concept" of combining dancing and puppetry. Before he could get too settled as a performer, Sean was asked to step in as the company's Audio Technician. His ability to accomplish that job so well lead to him being asked to pick up more jobs within the company, including: Sound Mixing, IT, Graphic Design, Video Editing, Costume Concept Design, & Website Design. Do all those hats ever get HEAVY, Sean? AND... Sean still continues performing - a first love he does not want to give up! Sean is married with two sons, one of whom was born between America's Got Talent appearances this summer! With a brand new baby, getting called back to the show as a Wild Card was definitely a bittersweet moment. But, Sean had to continue the growth of Ice's rapstar ego, so his brave wife held down the fort at home. Sean also does a lot of work with his church, including creating skits for major events and celebrations. He is a down-to-earth, multi-talented, family guy who we are very proud to have at Those Funny Little People. Seriously, Sean, is there anything you can't do - besides sing?! Favorite TV Shows: Walking Dead and Face Off - I secretly wish I could do that! Other Interests: Fictional writing and playing an improv game while making up good night songs to his kids.